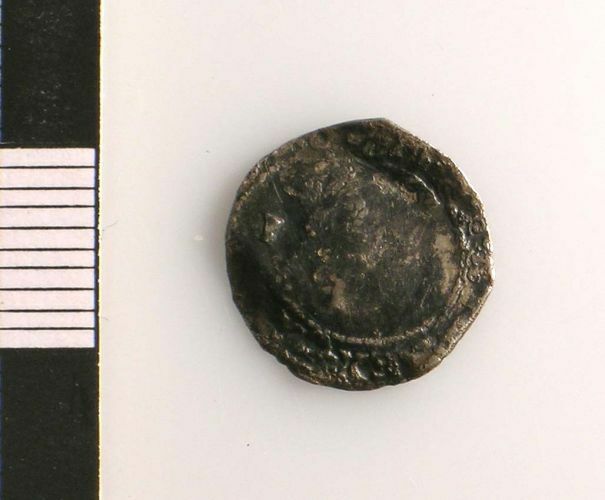 Small denomination silver coin of Charles I.
Obverse description: Bust, facing right, with 'I' to left of bust. Reverse description: Oval garnished shield of Charles I. The 'I' in FIRMAT looks like a 'J'. 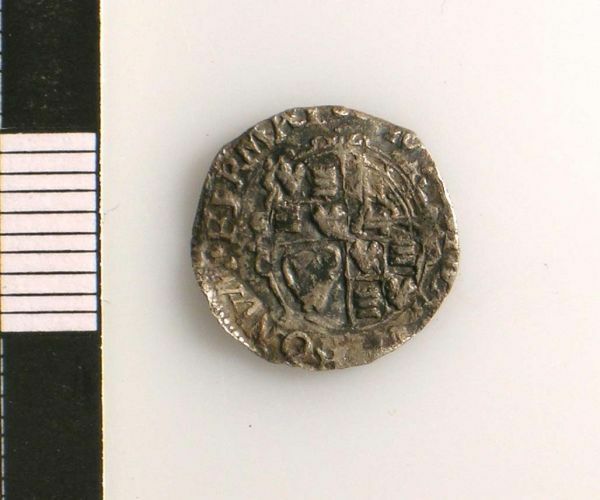 Post Medieval coin: silver coin of possibly Henry VII to Charles I, uncertain denomination or mint. A cut silver coin of uncertain denomination of Elizabeth I - Charles I dating to the period c. AD 1558-1649. Uncertain mint.